Capture the sun’s energy in your EcoFlow. 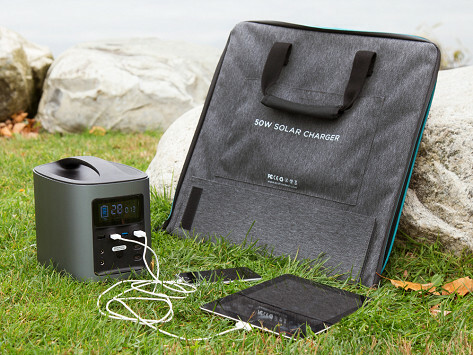 If you fully charge this high capacity power bank it will actually hold the charge for a year, making it a great addition to your emergency prep kit. 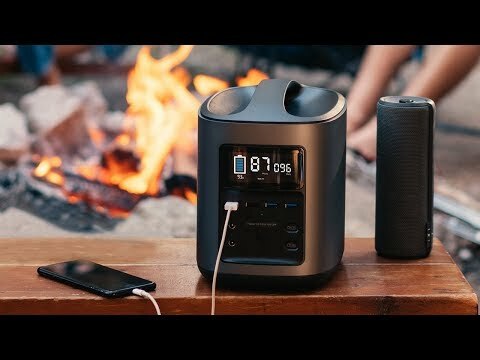 Its five-pound body is easy to bring road tripping, tailgating, or camping, or to keep handy around the house. It outputs enough energy for 100 hours of light, 10 hours of fridge time, or 20 hours of electric guitar anywhere you’d like. Dimensions: 17.3" x 17.3" x 1.2"
Dimensions: 10.6" x 7" x 9.76"